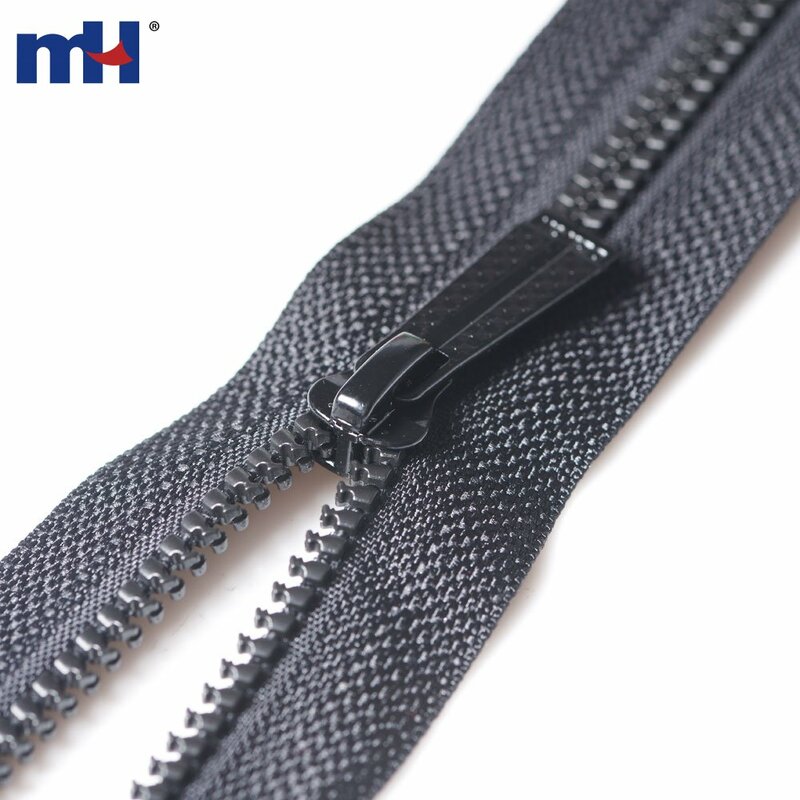 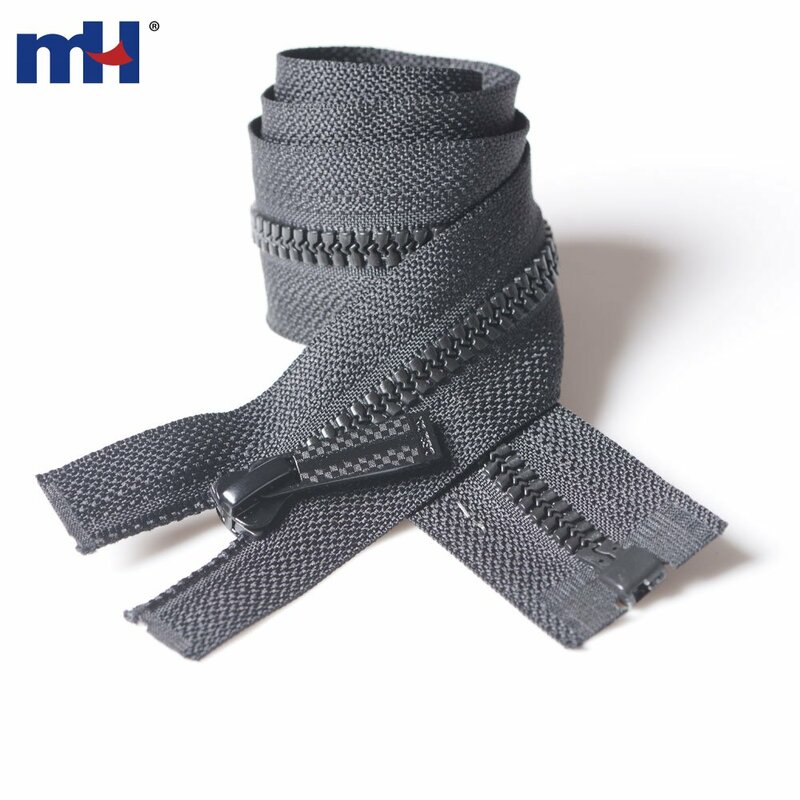 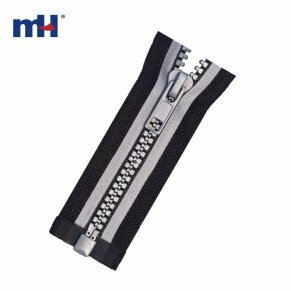 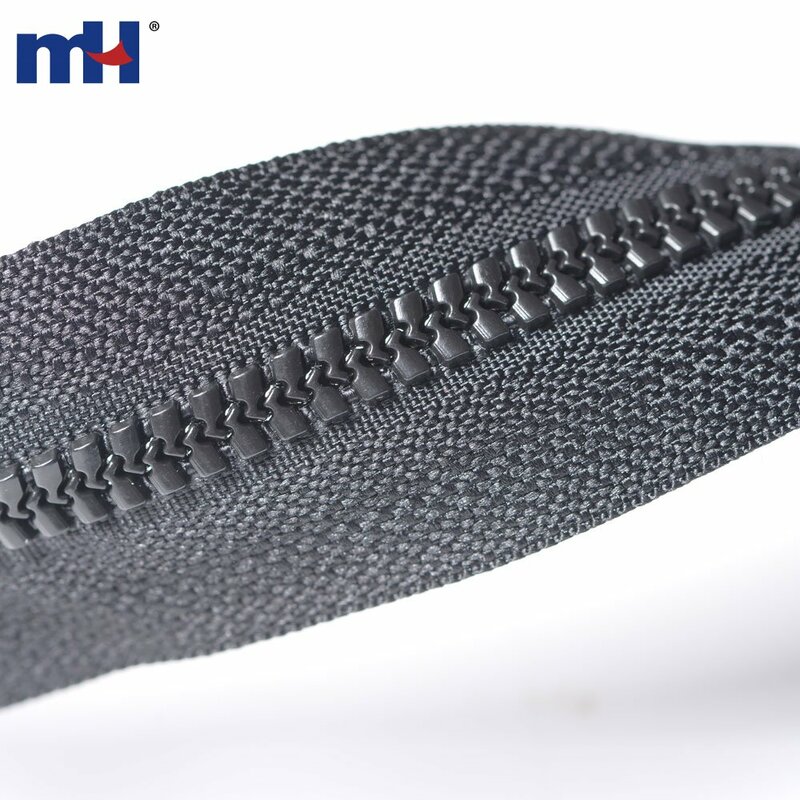 Delrin zipper is a zipper made with polyester tape with molded POM elements. It is light in weight, could be colored with tape, higher strength compare to nylon zipper. 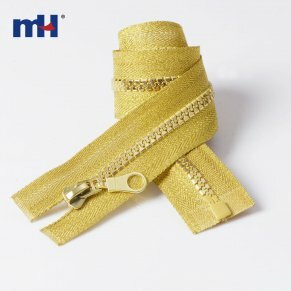 It is mostly used in sportswear, children's wear and young girls wear.